Technology alters how people feel, creates outlets for people to express their emotions, and provides social scientists with new tools and data on emotions. This chapter takes a sociological perspective toward research and theories of affect and technology. 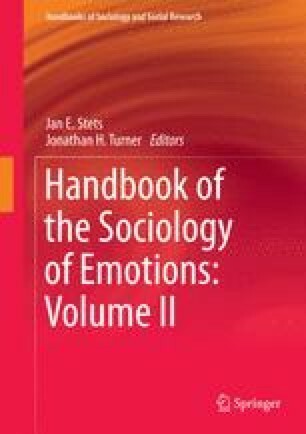 The chapter is organized into four distinct areas: (1) the relationship between the use of technology and emotions, (2) emotions through technologically mediated interaction and communication, (3) emotions from direct interaction with computer agents and robots, and (4) technological innovations that have altered methodologies for emotions research. Each section suggests how technology, especially modern digital technology, interacts with affective processes to affect individuals, interaction, culture, and society. This leads to a final section where I discuss ideas for future research and for applying theories of emotion to technology.